Designed for lidar and time of flight (ToF) applications, Texas Instruments’ LMG1020 gallium nitride (GaN) driver is now being shipped by Mouser. 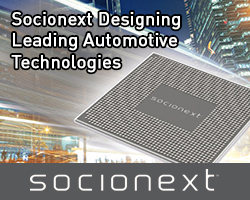 The single, low-side driver enables efficient, high-performance designs in speed-critical applications such as lidar, time-of-flight laser drivers, facial recognition, augmented reality, and class E wireless chargers. 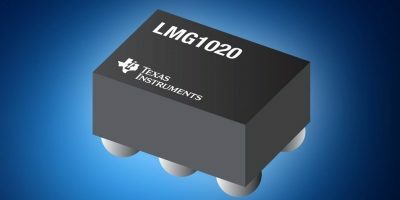 The Texas Instruments LMG1020 low-side GAN driver drives GaN FETs and logic-level MOFSETs, enabling propagation delays of just 2.5 nanoseconds and minimum pulse width of one nanosecond. 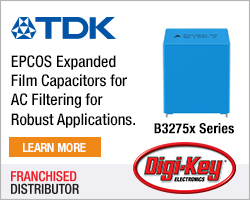 The device’s drive strength is independently adjustable for pull-up and pull-down edges by connecting external resistors between the gate and ‘outh’ and ‘outl’, respectively. The robust LMG1020 driver has over-temperature protection and under-voltage lockout to guard against overload and fault conditions, plus common-mode transient immunity of more than 300V/ns, delivering industry-leading system-noise immunity, claims Mouser. The LMG1020 is housed in a 0.8 x 1.2mm wafer chip scale package (WCSP) which minimises gate loop inductance and maximises power density in high-frequency applications. 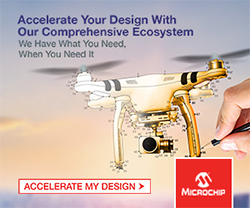 The small size allows designers to reduce component count and decrease power supply size by up to 80 per cent, adds Mouser. The LMG1020 driver features an adjustable dead-time control feature to provide improved efficiency for applications such as DC/DC converters, Class D audio amplifiers, and motor drives.